Thanks to the fantastic support of the Drupal community, 2014 was a terrific year for Drupal Watchdog. We published our first double-sized issue, put Drupal Watchdog on newsstands and in bookstores, and updated our website to better serve our readers. We have big plans for 2015 as well: digital subscriptions, pre-publication podcasts, and community events. 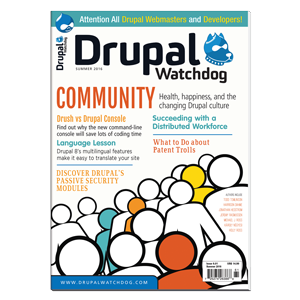 The majority of Drupal Watchdog’s audience receives their copy of the magazine at DrupalCon. It’s become an integral part of attendees’ welcome bags. It’s taken home by many a conference-goer as a consolation to team members who weren’t able to make it to the con. This year, we were pleased to add php[world] to that list. With the demand for Drupal developers as high as ever, we’re glad to get the magazine in the hands of talented people outside the community! Local events are one of Drupal’s great community strengths. We support community with in-kind sponsorship of Drupal camps, summits, and sprints. Magazines are free, including shipping within the United States. Get in touch if you’re interested copies for your local Drupal event. 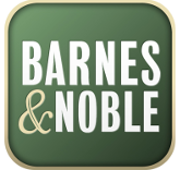 Hundreds of readers subscribed to the magazine directly from the website, others found their copies on the shelf at Barnes and Noble or other bookstores, or many placed a Prime-eligible order with Amazon. 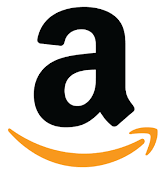 Readers outside the United States have asked for digital editions to avoid international shipping delays. Starting in 2015, PDF and ePub subscriptions, as well as back-issues, will be available for purchase from the Watchdog website. Before the publication of each magazine issue, we’ll be working with established podcasters to bring authors together to discuss the theme. 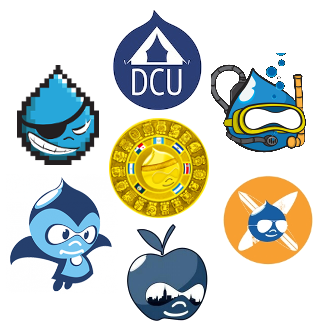 These lively discussions are one more way to discover nuances in critical Drupal community themes. The first podcast of 2015, hosted by DrupalEasy, will explore the strategic use of Drupal to support business and organization needs. In 2015, we’ll be connecting magazine authors and readers at DrupalCon Los Angeles at the “Meet the Authors” reception. Expect more details in the spring. As we begin the new year, we want to thank our contributors, readers, and advertisers for their enthusiastic support! It is, as always, our pleasure to provide a platform to learn and grow together.